Since their inception, Brooklyn, NY's Yeasayer have decided on using a nebulous framework for their music. Debuting in 2007 with All Hour Cymbals, they were mislabelled a psych-folk jam band. Then with 2010's Odd Blood, they swapped guitars and tribal rhythms for synths and wrote an album of pop bangers. Now in their third phase, they've made Fragrant World, another creative overhaul based upon a love for R&B production and a concern for what the future has in store for us. Not quite as staggering as the evolution from albums one to two, Fragrant World finds the trio fostering and fully committing to the electronic textures that differentiated Odd Blood. 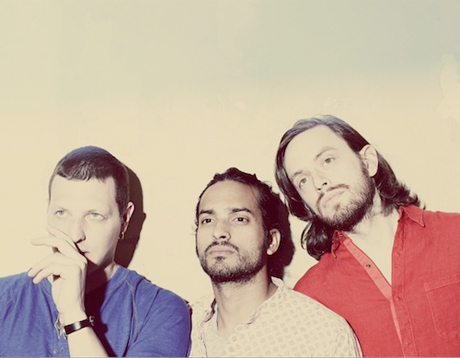 Taking inspiration from R&B's innovative production over the last 15 years, Yeasayer have unearthed a groove that mirrors the slick, bass-dropping styles of visionaries like Timbaland and the-Dream. Of course, that influence is filtered through their lens and marked with all sorts of skittish, chopped-up synths, rhythmic burps and bewildering tangents, which work best on "Devil and the Deed" and "Fingers Never Bleed." Fragrant World challenges from the first to the 15th listen, yet lacks the hooks that made Odd Blood such an impossible album to ignore. But, at the same time, Yeasayer are a talented bunch who make forward-thinking, 21st century pop music designed to make you think while you dance.